Amybeads: My Ingredients are Here! Eeek! 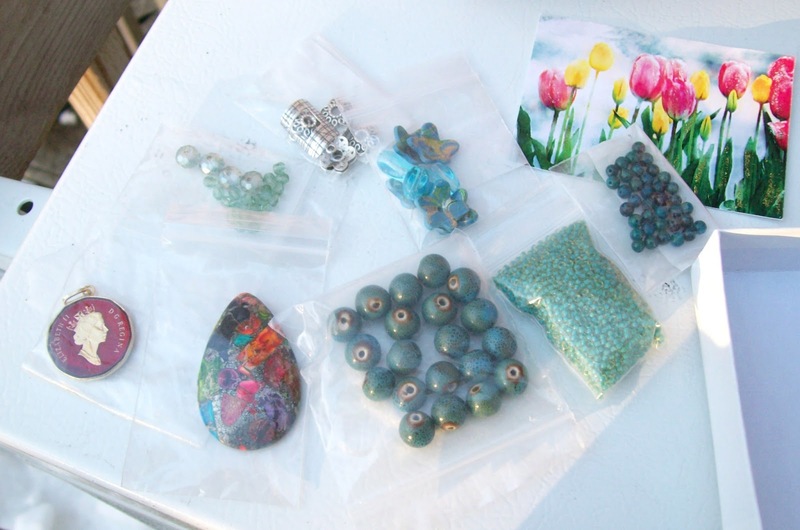 I am so excited that my beautiful bead soup came - all the way from Canada!!!!!!!!!!!!!!!! Kepi (of A little of this, a little of that), is my partner and I was delighted yesterday to receive her package! 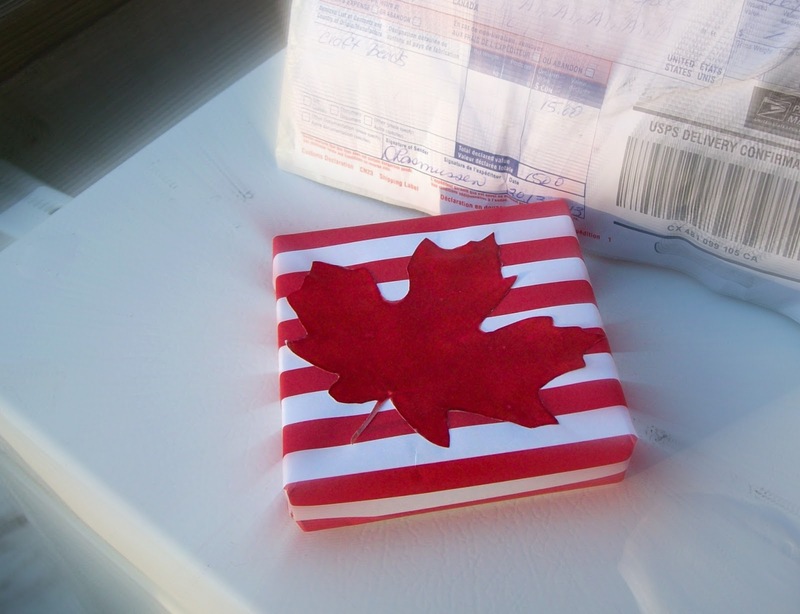 First of all - how cute is this sweet maple leaf package!?!? And to my delight - here is the wonderful bead soup she sent! How gorgeous and unique is this focal?!? I'm very excited. I immediately had some ideas running through my head when I saw this focal! Can't wait to start playing around with it! 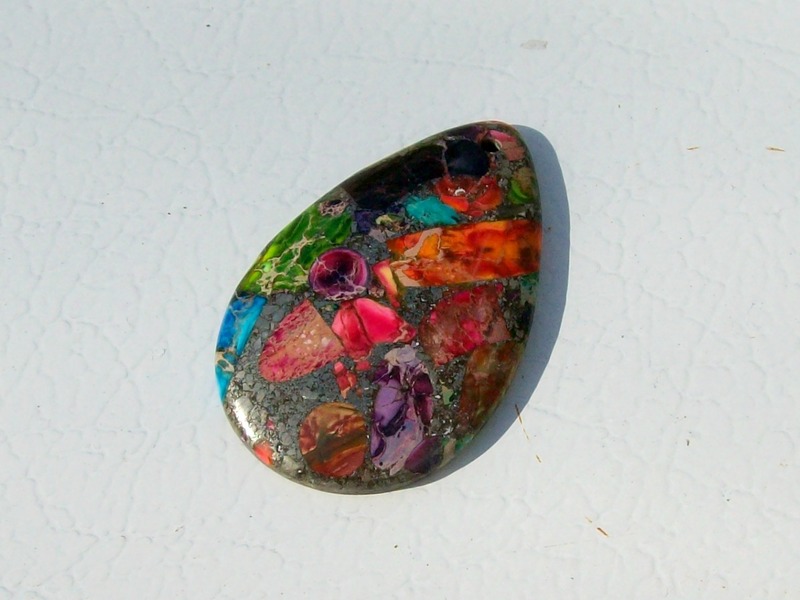 I am very excited to once again be participating in the Bead Soup Blog Party and very excited that Kepi is my partner! Also - I may be crazy, but I once again signed up for the Blogging from A-Z Challenge. Really, Amy!? These days I can barely manage once a week - never mind six times a week! 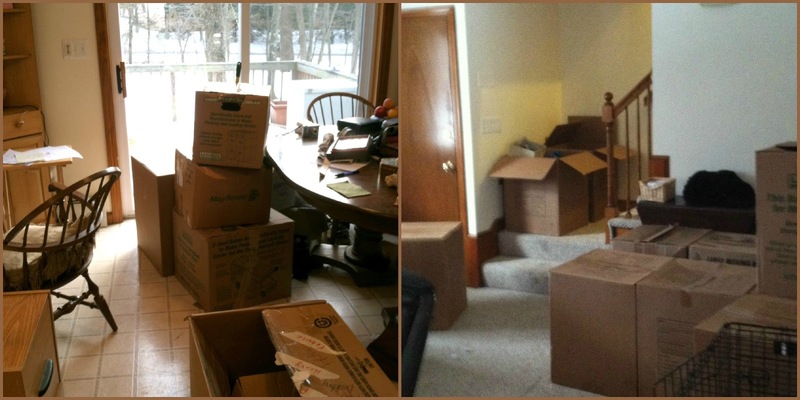 I'm hoping once I'm unpacked and settled into a routine, I'll be able to blog more. I selected "Craft" as a category, so I may veer away somewhat from beads and include other crafts as well! We'll see!!!! What a sweet little package and that focal is AWESOME! One of these days if I ever get any extra money I'll have to join the bead soup. Love your bead soup. Wow! I'm a new beader and a first time bead souper. Oh wow Amy, your soup is gorgeous I can not wait to see what you create with it. Good luck on the organizing of your home. I know you are glad to be in one place and not living out of suitcases. I thought about signing up for A-Z challenge, but I decided not to cause I know for a fact that I will not beable to do a post a day for six days in a row.